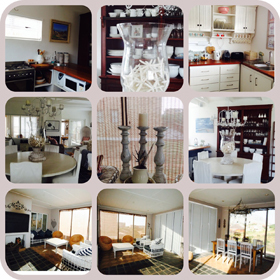 Pringle bay has a really great selection of Private accommodation and guest houses to meet most budgets. 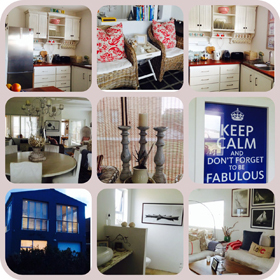 4 bedrooms and 3 bathrooms, this lovely house will sleep up to 9 people. Very cosy and child friendly. Beautiful views of the Hangklip mountains. 2 mins to the beach. Listen to the Frogs at night and the peaceful sounds of the waves. Everything you need is provided, incl. crisp white linen and soft towels . Apple TV and internet connection.. Perfect for winter nights with a fire and red wine!